I love being able to offer great giveaways for you all, and Perricone will definitely help keep your skin looking its best this summer. The Second Skin hand cream has yogurt benefits (greek yogurt to be exact - it's no longer just trendy to eat it, you aren't cool unless you are moisturizing with it) has gotten some great reviews - soothing moisturizer with no greasy residue! This giveaway is for any Perricone product valued at $150 or less. It is open to U.S. and Canadian residents only - Sorry international readers! To enter: Be a follower and leave a comment letting me know which Perricone product valued at $150 or less you want or need and why. Be sure and leave a way for me to contact you if you win! The giveaway will close on Sunday, June 12th at 11:59 pm est. Night recharge is the best!! I'd like to try the Bright Eye eye cream. I've always had darker undereye circles. I liked the Night Recharger serum. But I also could use the Daylight Savings! I am a new follower. I would love to try the First Blush because it will assist me with my uneven skin tone and it tightens skin. I would like to try an eye cream to protect my eyes to be darken and also I want instant eyelift product for my eyes.. :).. Any suggestions? 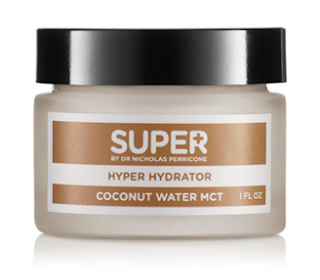 Fun - the super hydrator sounds great for summer and would love some more Cold Plasma! Definitely the lotion with yogurt benefits, since I hate lotion residue! count me in! i would go for the intensive moisture therapy! I've always wanted to try the Night Recharge so I'd have to go for that! I would like to try the Intensive Moisture Therapy because my skin is dry dry dry! Nothing seems to help. I'm following on GFC. Thanks! I'd like the Vitamin C Ester Eye Serum. I've heard good things about these products, so it would be great to try them! I would love to try the Cold Plasma. I have been hearing about it for so long. I want to know if it lives up to the hype. that pair looks so much more comfortable! and still super cool. love the heel. I'd go with the Bright Eyed product. I have always hated my horrible dark circles!! I'd love to try Bright Eyed-- my dark circles have been so pronounced this spring due to allergies! I might pick Bright Eyed. 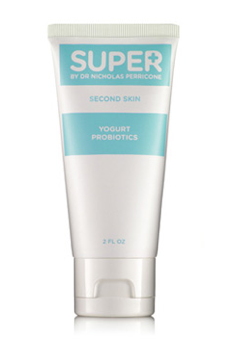 Or maybe this: http://www.getsuper.com/product/superfood/turmeric+saves+skin+from+sun/sun+kissed.do?sortby=ourPicks natural SPF? Might be worth a try! DETOX ELIXIR. my pores are having issues. I'd like to try bright eyed, thanks! Great giveaway! I'm a follower on GFC and I could definitely use the no foundation foundation? Reason being? I lost my makeup case and have nothing to wear on my poor face! I'd love to try Bright Eyed. I hate my undereye circles, so I'm always on the look out for a new eye cream!